James Payne owned the Southern Futurity 3-Year-Old Open on Wednesday, after he scored 220 points on Stylish Hailee to win the championship and 216 points on Desires A Gun to claim reserve. Payne also placed fifth in the seven-horse field on Stella Merada to tally earnings of $32,337 in the $52,637 purse finals. Hott Pockets, sired by Hottish, and bred, owned, and shown by Bill Pierce, scored 214.5 points for third place. This was the third consecutive win for Stylish Hailee, by Halreycious, who was purchased for $35,000 by Kathleen Moore, in the 2017 NCHA Futurity Sales. Stylish Hailee’s dam, Keep Me in Style, by Doc Stylish Oak, has produced seven NCHA money earners, including Spoonfula Style LTE $56,011. Reserve champion Desires A Gun, by Boon Too Suen, is owned by James and Nadine Payne, Marietta, Okla., and was shown by Nadine to win the West Texas Futurity Non-Pro championship. Rollz Royce, ranked third among 2018 4-year-olds with $173,604, claimed his fourth consecutive win in two months with the Southern Futurity championship. Owned by Thomas Guinn, Philadelphia, Miss., the Dual Smart Rey son scored 225 points under Beau Galyean, who also placed fourth in the finals with 218 points aboard his own horse, Desiresomemettalic, by Metallic Cat. Dual Reyish, by Hottish, the 2017 NCHA Futurity champion owned by Billy Wolf, Whitesboro, Tex., scored 219.5 points for reserve under Austin Shepard, while Reystylin Smooth, by Smooth As A Cat, scored 219 points with Adan Banuelos for third. Austin Shepard, reserve champion of the Derby, and James Payne, champion and reserve in the Futurity, also claimed premium shares of the Southern Classic purse. Shepard scored 222 points for the championship aboard Sir Long Legs, while Payne and PG Heavily Armed earned 221 points for reserve. 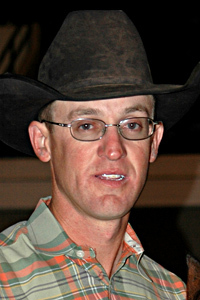 Christy Hughes, owned by Austin and Stacy Shepard, placed third with 220 points under Austin’s father, Sam Shepard, and James Payne took fourth with 219 points aboard The Golden Shot, owned by Kathleen Moore, Madill, Okla.
Five-year-old Sir Long Legs LTE $324,063, by High Brow Cat, won the 2017 Southern Futurity 4-Year-Old Open with Austin Shepard, for current owner, Lew Hall, Highland City, Fla., who purchased the stallion for $90,000, at the 2014 Western Bloodstock NCHA Futurity Yearling Sale. With Shepard in the saddle, Sir Long Legs earned the reserve championship title in the 2016 NCHA Futurity, and won the 2017 NCHA Derby. Six-year-old PG Heavily Armed LTE $233,750, sired by Playgun and owned by Michael and Brenda Hughes, Marietta, Okla., came into the Southern Classic off of wins with Payne in the Brazos Bash Classic and the NCHA Classic Challenge. With earnings of $94,121 in 2018, alone, PG Heavily Armed is ranked fourth among 2018 five/six-year-old money earners. Six-year-old Christy Hughes LTE $164,971, by Thomas E Hughes, was bred by Austin and Stacy Shepard out of MH San Tules Dually LTE $330,220 and is a three-quarter sister to Bamacat LTE $351,360. She has carried all of the Shepard family members to championship wins, including Austin and Stacy’s son Cade, who showed her to win the 2016 Southern Derby Non-Pro, as well as the 2018 Ike Hamilton Classic Non-Pro and the 2018 Augusta Classic Non-Pro. Most recently, Cade’s sister Caylee showed Christy Hughes to win the 2018 Cotton Stakes Non-Pro Limited.